PIMA Hospital Muzaffarabd, AJK, was established in collaboration with Al-Khidmat Al-Hajri Al-Rabia Trust, followed by PIMA Field Hospital Muzaffarabad on 8th Oct. 2005. The 50 bedded indoor facility with OPD 24 hrs emergency service, surgery, OT, Obs&Gyn, Pediatrics and Diagnostic facilities(Lab, Ultrasound, and X-ray)Pakistan Islamic Medical Association (PIMA) Al-Hajri Hospital is the only charitable hospital for the population of around a million people in Muzaffarabad, the capital of Azad Jammu & Kashmir (AJ&K). 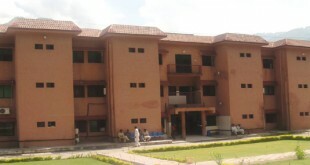 This fully equipped hospital, located beside River Jhelum, was established after the Great Asian Earthquake in 2005 to consolidate and regularize the operations of PIMA Field Hospital, Muzaffarabad, which provided extensive medical relief to thousands of injured and sick men, women and children affected by the severe calamity that killed around 78,000 and maimed an equal number of people.PIMA Al-Hajri Hospital also traces its origin from the Kashmir Surgical Hospital which was established by PIMA in 1988 to cater to the enormous influx of refugees coming from the Indian Occupied Jammu & Kashmir to escape torture and genocide at the hands of the Indian armed forces. Today, the hospital is a state-of-the-art medical facility with 24-hour emergency service. With an in-patient capacity of 50-beds, the hospital provides specialized care in Gynecology & Obstetrics, Pediatrics, Medicine, and Surgery. It was formally inaugurated by the Prime Minister of Azad Jammu & Kashmir in November 2006. The Great Asian Earthquake in October 2005 brought massive devastation in Kashmir, Khyber-Pakhtunkhwa and the Northern Areas of Pakistan. More than 78,000 people, including 18,000 children in schools, died. About the same numbers of people were severely injured. Thousands of houses were destroyed and millions of people were displaced. The newly built Kashmir Surgical Hospital was also badly damaged and it was impossible to continue with its functioning so a tented medical facility, the PIMA Field Hospital, was established near Tali Mandi, Muzaffarabad, to cater to the medical needs of the survivors of the disaster. The PIMA Field Hospital started functioning on 10 October 2005 – the day the earthquake struck – with a 24-hour out-patient department, a 50-bed in-patient ward, operation theater, laboratory, X-ray, all in a tented facility which was later converted into a semi permanent structure. A large number of doctors and paramedics from all over Pakistan and across the world came to volunteer their services at the PIMA Field Hospital. 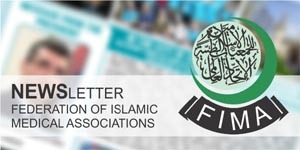 Many of these doctors from other parts of the world came from different organizations such as Mercy Relief, Singapore, Islamic Medical Association of North America (IMANA), Association of Pakistani Physicians of North America (APPNA) and Egyptian Medical Syndicate. During the earthquake relief activities PIMA Field Hospital was the hub for out-reach medical rescue missions and it deployed more than 51 medical relief teams in different parts of Neelum and Jhelum valleys in collaboration with the Pakistan Army’s Aviation Wing. According to WHO statistics for the first four months after the October 2005 earthquake, the PIMA Field Hospital had catered to more than 39 per cent of the total number of the injured and sick patients in Muzaffarabad. A medical team of PIMA Field Hospital also rescued a lady, Naqsha Bibi, who had remained buried for a record 65 days in the debris of her destroyed home! 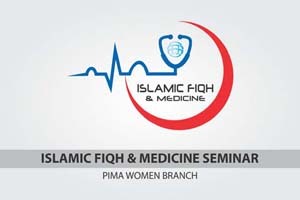 She was initially treated at the PIMA Field Hospital for three days and was later shifted to Pakistan Institute of Medical Sciences at Islamabad.